This unique tour offers a rare opportunity to follow the 2 Lincolns during WWII. 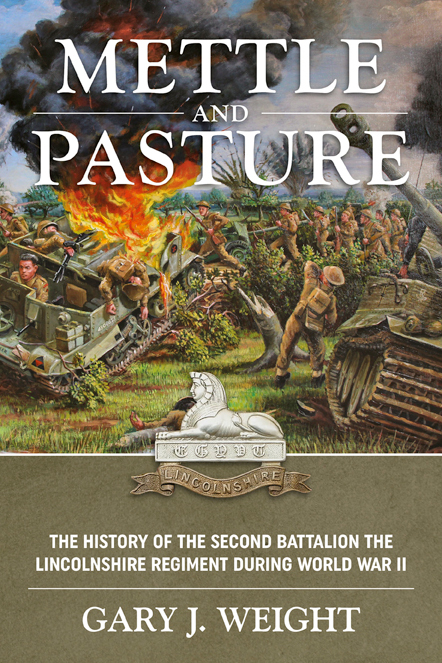 Based on actions covered in the Battalion history ‘Mettle and Pasture’ published in 2016, the tour will be presented by author and experienced battlefield historian Gary Weight. 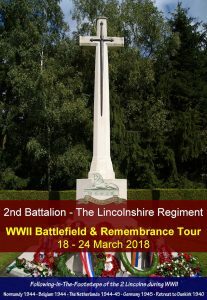 Also present and conducting the German part of the tour will be Tony Colvin, son of 2 Lincolns 2ic Major Leslie Colvin MC, and author of ‘The Noise of Battle’ – an in-depth study into the actions of the British 3rd Infantry Division in Germany during February and March 1945, also published during 2016. The many years that Gary and Tony have spent researching the Battalion will give this tour a fascinating insight into the actions that took place. Official ceremonies and events will give the opportunity to meet locals, some of whom were present at the time. 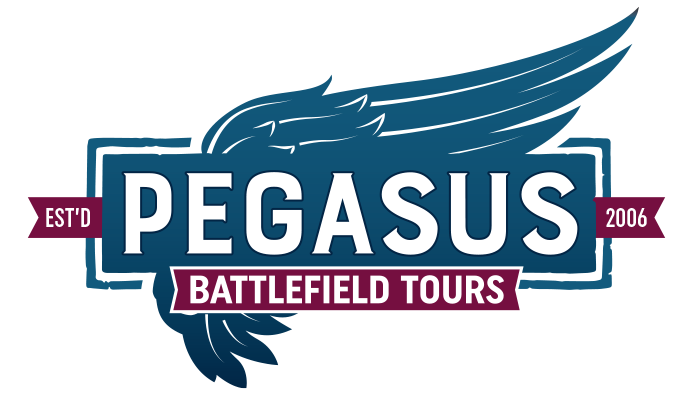 The tour will focus on actions from D-Day in Normandy (6 June 1944) through to The Battle of Winnekendonk in Germany (2 March 1945) and will also cover the retreat to Dunkirk (May 1940). 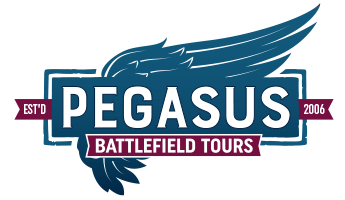 This dual-function Battlefield and Remembrance Tour will bring together many family members and interested parties of this proud Battalion and Regiment. Currently we do have spaces available and this tour is open to all.